/ Virtual Assistants – Do Your Potential New Clients Know You Exist? Imagine this scenario for a moment. You’re a Virtual Assistant, looking for an additional client to expand your virtual assistant practice. On the other side of the country a small business marketing entrepreneur is looking for a new personal assistant online to provide additional support for his rapidly growing business. 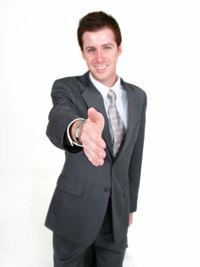 My question is…how does this new potential client know you’re available and ready to work with him TODAY? Wouldn’t it be wonderful if he already knew your virtual assistant services were available BEFORE he started to seek out his new virtual assistant? If you already have a reputation of providing exceptional service and adding value to your clients’ business you will most certainly have a new client knocking on your door very shortly. i) Your client will love the new video you’ve done for them and ii) when it is posted on their website, others will see your brilliant work. Outstanding Reputation for quality work and service. Attend the online and live functions that your target markets are attending. Many virtual assistants attend functions and network with other virtual assistants. That’s great, but make sure you are networking with your potential new clients.